Summer is here – the rain is coming! If it weren’t for the intense heat, I think summer would be my favourite season! It’s alive with pretty flowers, colourful birds, baby animals, wonderful clouds and long lazy days as the year winds down. Add a good dose of rain (we are ever hopeful!) and wavy green grass for as far the eye can see, and what more could you ask for? Summer at the end of our working year brings a smile to the face of Namibians as we eagerly wait to see what the rains will bring this time round. 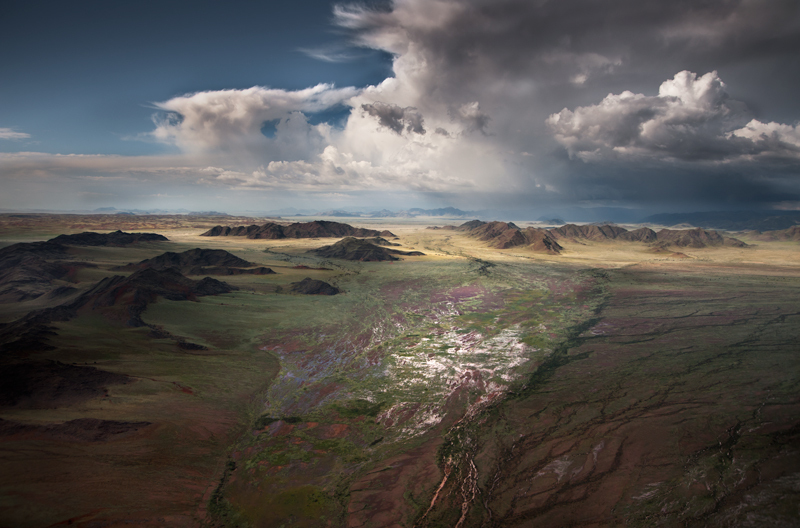 After a possible short rainy season in October, by December we are really sweating it out in the interior as the clouds and heat build up. In the north the rains may have already started, bringing relief for some. The cooler days at the coast are now becoming less as the country looks forward to spending the holiday season there. Namibia is on GMT+2 hours during summer, the same as in our neighbouring Southern African countries. 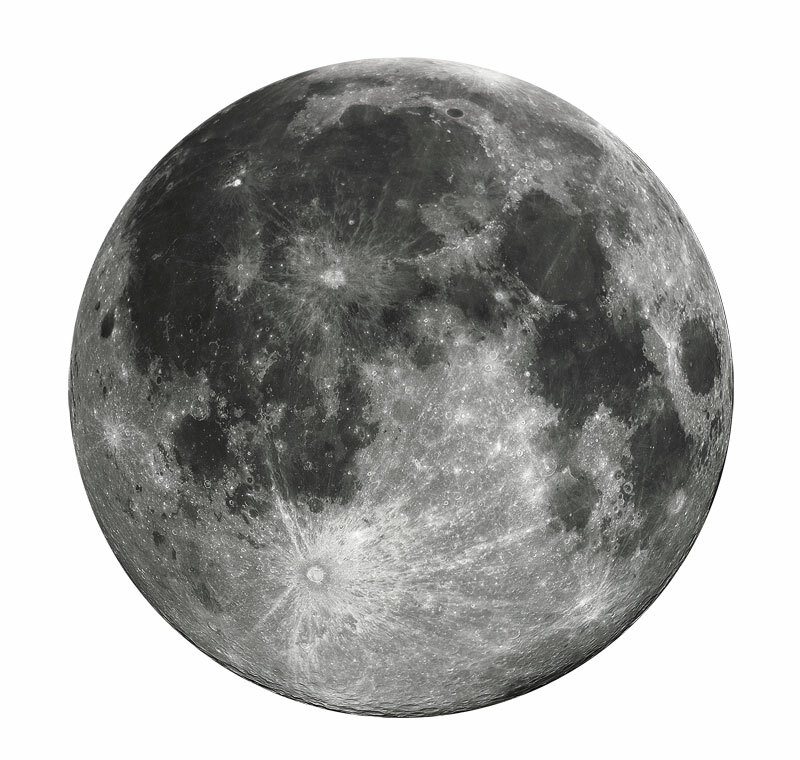 The 21st of December is the summer solstice when we experience our longest day and shortest night of the year. To help you derive the most hours of sunlight out of your day this holiday, take note of sunrise and sunset times. At the beginning of summer it is very hot In Namibia. With cloud build-up during the day, the nights can become quite oppressive if it doesn’t rain and the cloud cover remains. So wear cool clothes made from natural fibre such as cotton and linen. Due to the humidity, clothes may not dry overnight, as is the case in our dry winters. Once the rains start in earnest, the temperatures slacken off quite a bit and you may even need to pack a lightweight jacket for evenings and game drives. 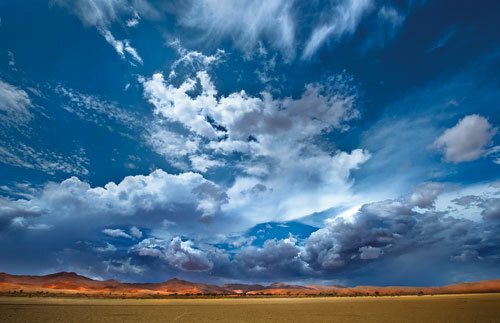 Clouds over Sossusvlei. Photo Paul van Schalkwyk. As always, bring a wide-brimmed sunhat, sunglasses and the ever-essential sunscreen! 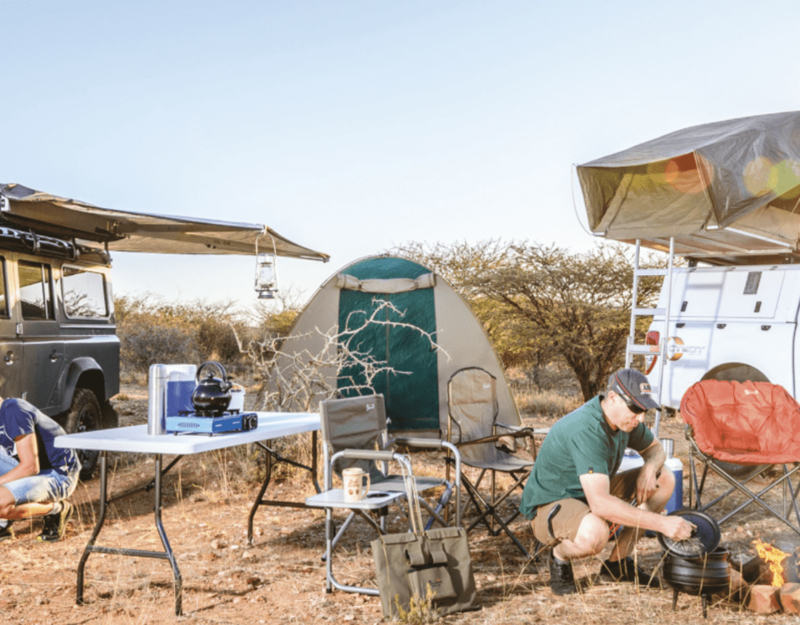 Summer is malaria season, so up in northern Namibia it’s best to wear long, lightweight pants and closed shoes and socks in the evenings, as mosquitoes tend to bite mostly on the lower legs. A small fold-up umbrella might come in handy for those heavy downpours, although our storms never really last long. Pack your swimsuit, as now is a wonderful time to swim in the sea at Swakopmund. Take care to stay out of swimming pools inland when there is a storm brewing, as water conducts lightning. If you use organic or biodegradable cosmetic products, bring them with you, as such products are not easily available outside Windhoek and Swakopmund. A material shopping bag will help save Namibia’s oceans and deserts from more omnipresent plastic dust. The number-one summer health tip is to be aware that the northern parts of our country are malarial areas. In summer when the rains start falling, mosquitoes breed in standing pools and the risk of contracting malaria persists well into autumn and even into winter in a good rainy year. It’s a good idea to consult your doctor at home before you arrive in Namibia so that you can start your prophylactic treatment before you arrive. Bring a high-protection-factor sunscreen with you, as there’s still plenty of sunlight every day before it rains. Summer is hot and often humid, so we tend to seek out the cool dryness of air-conditioners to make life more bearable. Try to use yours only when you’re in the room and switch it on sleep mode when you retire. Switching it off when you leave the room for a while and especially when you check out is the sensible and considerate thing to do. Keeping the curtains closed during the day also helps to keep the cool air in and the heat out. Why not choose an accredited eco-friendly destination, one that is committed to protecting the environment and assisting local communities? Choose from the growing selection on the Namibian Eco-Awards list http://www.ecoawards-namibia.org/. Select only eco-friendly cleaning products if you’re going on a camping trip, and leave no chemicals behind when you leave. Choose from a selection at Maerua SuperSpar. This has been a severe drought year, so please continue to use water sparingly. Visit the Saturday Biomarket at Stephanus Church in Uhland Street, Klein Windhoek during the month before Christmas to sample traditional German Christmas bakes, meats and the regular organic vegetable stalls. Stock up on Namibia’s organic yoghurt and ice creams to beat the heat. Made by Ina Cramer on Farm Rogers, they are also available at Maerua SuperSpar. 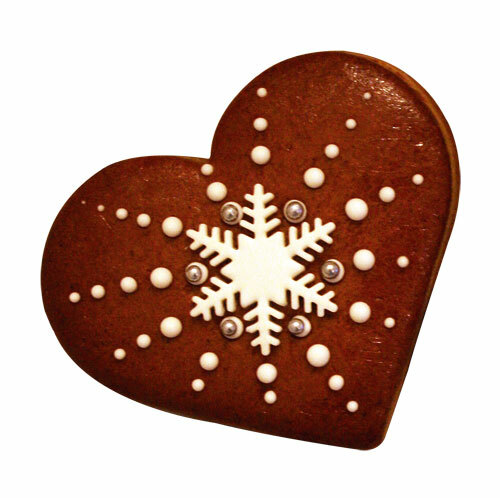 Drool over their latest seasonal flavours on https://www.facebook.com/cramer.organic. Watch the press for the feast of traditional German Christmas markets held around Windhoek and in Swakopmund this time of year. After the spring flower show of trees sporting fluffy acacia balls, the flower show moves to ground level when the rains begin. Following the first rains, buttercup-yellow devil’s-thorn flowers (Tribulus zeyeri) spring up in vast carpets all over Namibia. 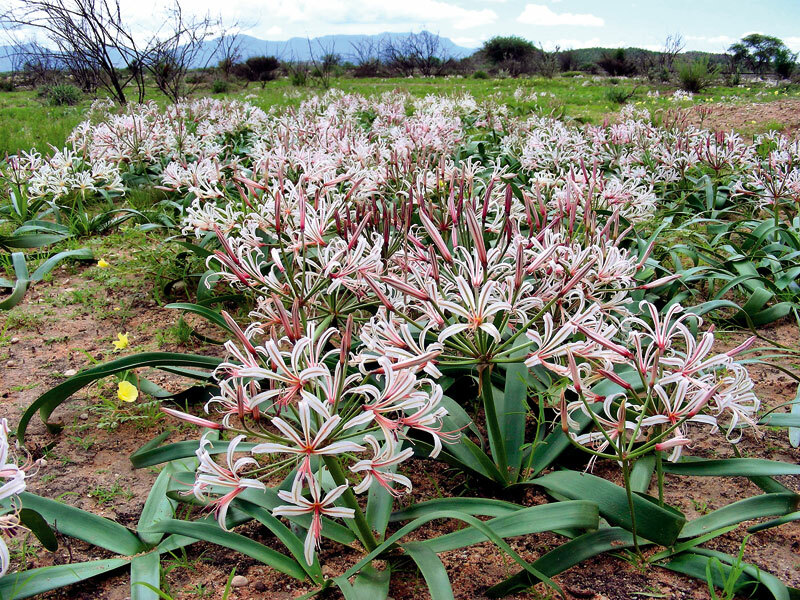 In summer this is one of the most prominent flowers you’ll see throughout the country, except in the northern Kalahari regions. If your timing is right, you might be treated to a field of Nerine laticoma, bulbs that sport pale-pink flowers if the rain has been sufficient. My favourites – members of the Crinum family – will also be relying on a good rainfall before showing you their pink secrets. See the Crinum buphanoides next to the Franke Tower in Omaruru, and travel to Farm Sandhof near Maltahöhe to view 800 hectares of Crinum paludosum! Be sure to call the Maltahöhe Hotel first to find out if there’s been enough rain, as this is an unpredictable event! 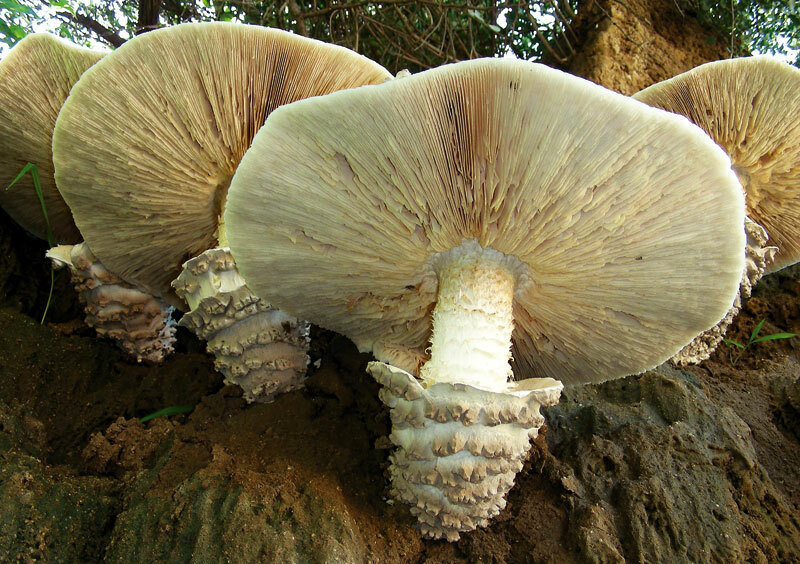 Now is also the time to look out for those gigantic mushrooms – the delectable omajovas. 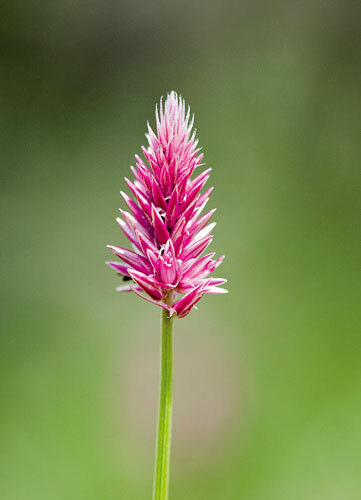 You’ll find them for sale along the roadsides about three weeks after good rains. Out in the desert the mysterious welwitschia plant puts out flowers from September until May. For further information see 111 Roadside Plants by Antje Burke and Trees and Shrubs of Namibia by Coleen Mannheimer and Barbara Curtis. 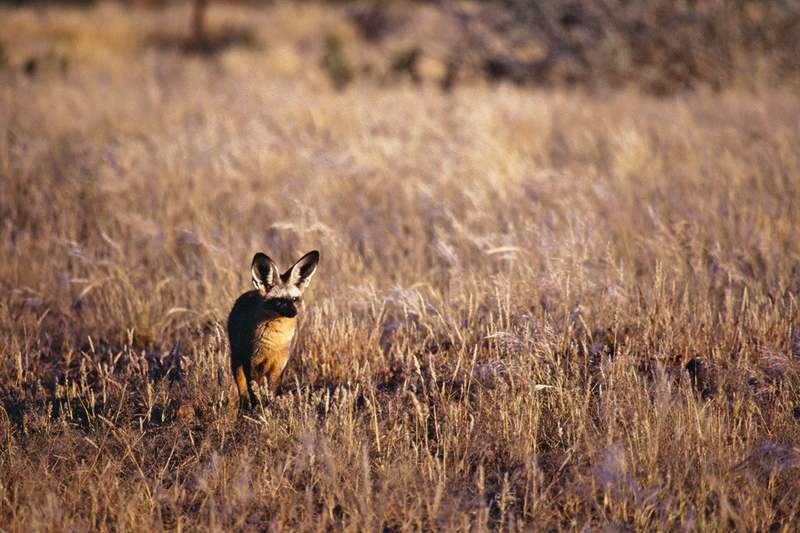 Bat-eared foxes typically give birth to between three and six pups at the beginning of the rainy season, enabling the adults to feast off the bounty of insects that hatch out with the rains. African Wildcats give birth to between two and five kittens during the rainy season. While hard to spot in the long green grass, and nocturnal where other predators are present, you might be lucky enough to see one in Etosha or the Kalahari. The fresh grass feeds the vegetarian antelope, which in turn feed the predators. Summer finds the big cats well fed and in good shape. Early summer is still a good time to spot the predators before the grass becomes too long for viewing. As the rains progress into February, game viewing becomes disappointing. The antelope have dispersed and no longer need to visit the waterholes daily, as there are sufficient pools of water in the veld. 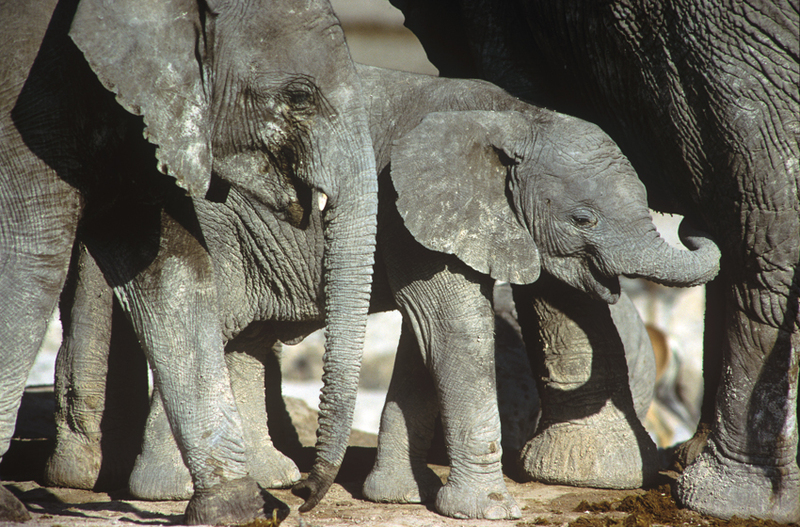 Elephants in Etosha migrate to the northern parts of the pan to feed in the woodlands there, so it’s unlikely that you’ll see herds of elephants during a normal wet summer. They return again from May onwards. 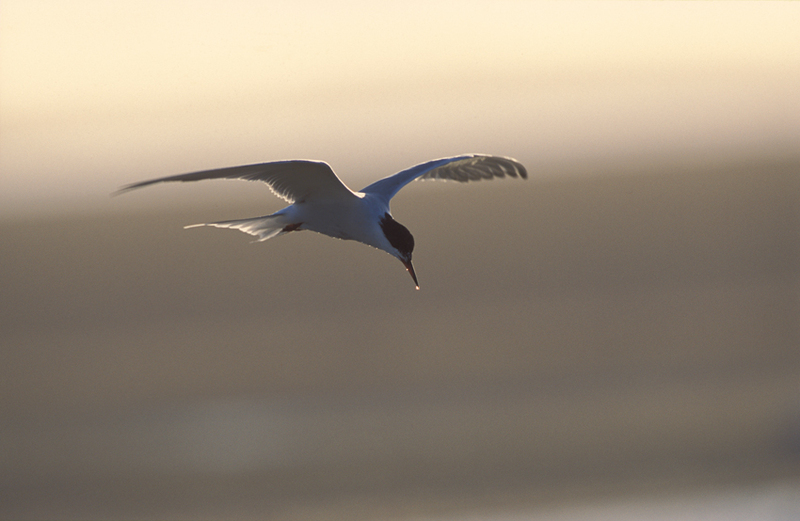 At the coast, the endemic Damara terns are breeding now and will be here until April. They lay a single egg and raise their chick before moving higher up the African west coast for winter. At this time of year there are many other non-breeding migrant birds that have come to feed at the coast. Look out for grey plovers, common and Sandwich terns, and common and curlew sandpipers, as well as the other regulars like black-winged stilts and the rare African oystercatcher. If the rains are good, the flamingos will migrate from the coast to Etosha Pan to breed. Inland you could see large flocks of Abdim’s stocks circling overhead, as well as equally large flocks of yellow-billed kites catching termites on the wing. If you’re a cuckoo fan, then Namibia’s your place! The green Diderick cuckoo is one of the first to arrive by mid-September, followed by Jacobin and Levaillant’s. By November my favourite, the black cuckoo, fills the woodlands with its mournful song. In Etosha look out for breeding red-billed queleas weighing the trees down with their combined weight, clownish coloured wattled starlings, European rollers, European bee-eaters and the flamingos that have come to breed on the pan. Flocks of black-winged stilts fill the air with twittering sounds near Namutoni. On the northern rivers such as the Okavango, Kwando and Zambezi, it’s time for colourful flocks of carmine bee-eaters, woodland kingfishers and African skimmers to be in evidence. 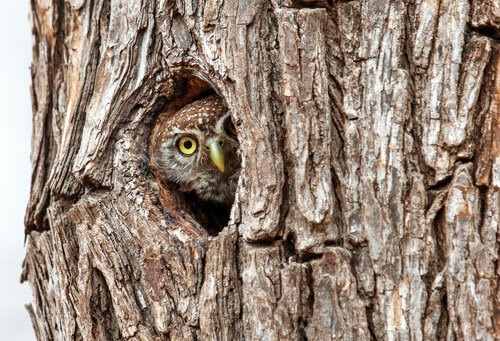 You’ll see nest holes in trees being utilised everywhere, and you may even be lucky enough to find a pearl-spotted owlet peeping out! At the onset of the summer rains, the roads will have become slippery after not being ‘rinsed off’ for many months, so do take care when driving not to speed in wet conditions. Rain can cause normally dry river-courses to flood within minutes, so take time to inspect those riverbeds before you cross. 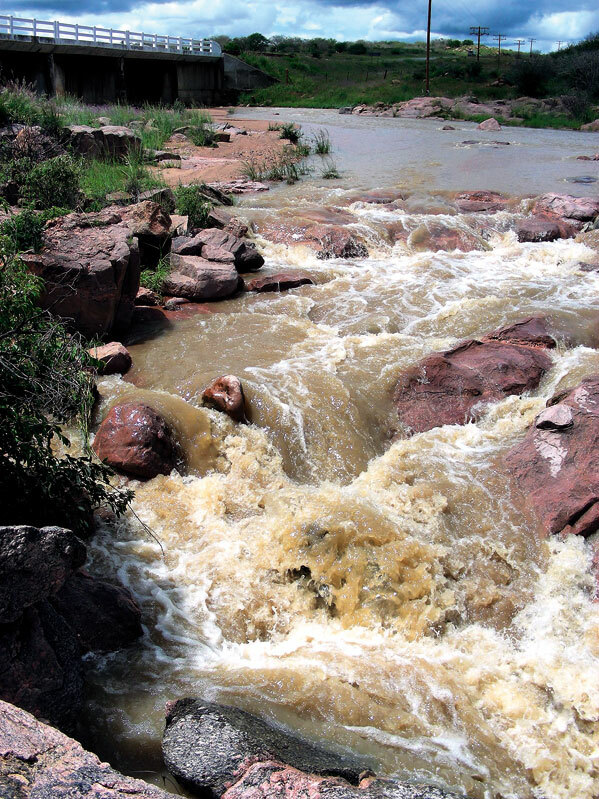 If you’re going to chance crossing a flowing river out into the country, make sure you wade through it first to ascertain its depth, and never cross alone. For the same reasons, it’s not wise to camp in a dry riverbed! Sudden downpours can also cause gravel roads to be washed away, particularly on the sides, making driving hazardous. The Klein Windhoek River, which flows through the middle of one of Windhoek’s suburbs, has caught many a local unawares and washed away cars, not to mention entire roads – particularly dangerous at night when the depth is difficult to gauge. As soon as you hear a storm approaching, take shelter indoors. Stand in an inner room and keep away from glass windows, which conduct the electricity. If you can’t shelter indoors, sit in a car, keeping the windows and doors shut. Don’t touch the metal of the car, as this will also conduct electricity to your body. Indoors, don’t touch metal objects or landline phones. Apparently using a landline during a strike is one of the biggest causes of lightning-related injuries in the USA. Don’t huddle together with other people, because if lightning does strike, it’s likely to strike you all.